I feel like Netflix is every college students guilty pleasure. Coming back to your room after a long day of class and studying is well rewarded with watching a few episodes of your favorite TV show. Even at home I fin myself watching Netflix more frequently than watching our actual TVs but that could be because I don't really know the channels. 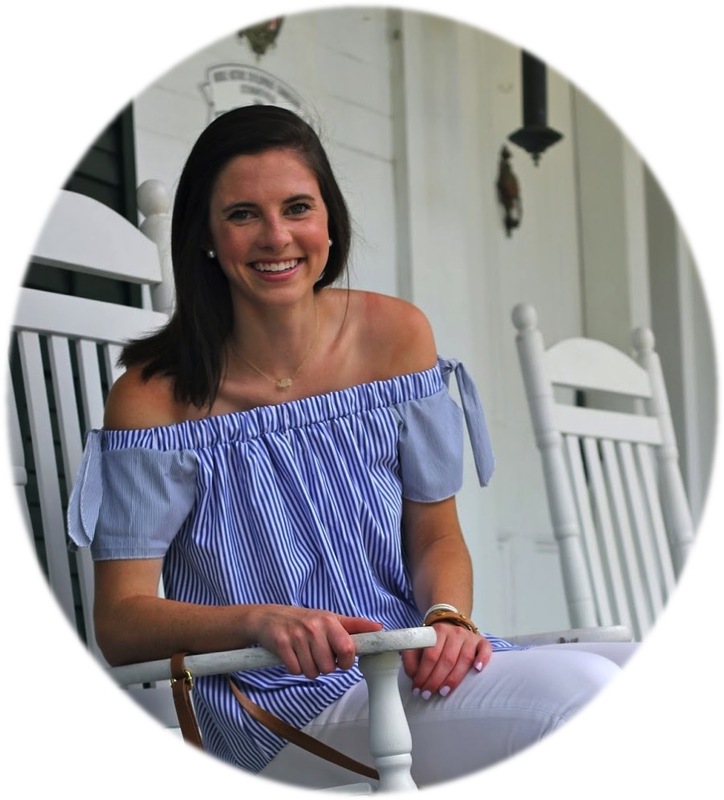 With summer here for most college students and on the horizon for most high schoolers I am sure many of us will be spending some of our free time this summer watching shows and movies on Netflix. One of the saddest parts about watching a show is when it finishes and you feel like you have nothing else to watch. 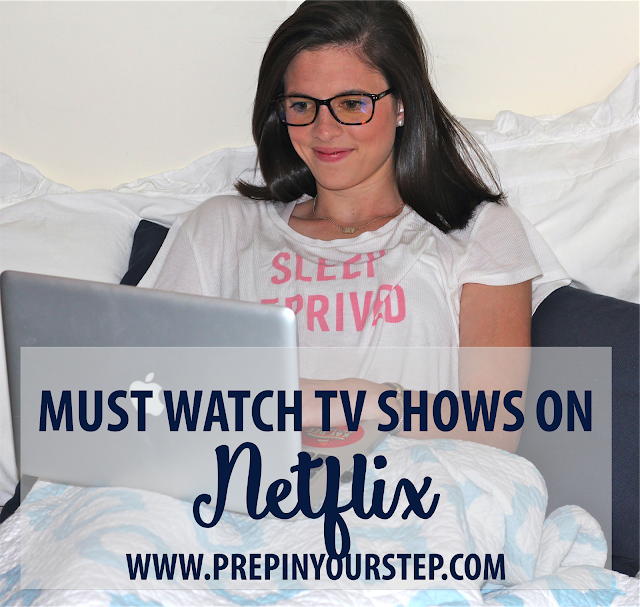 To avoid that disappointment I am sharing some of my Netflix show favorites as well as which shows are on my to-watch list and I would love for y'all to add to that list as I frequently use TV shows as background noise while I am working on blog content. So what are your favorites or recommendations for me? I'd love to know what y'all are watching! Don't forget Parenthood! It's the best Binge-worthy Netflix show! PS- What fonts do you use for your graphics? THanks! Love the recommendations, I've been meaning to watch Friday Night Lights myself! If you like Kimmy Schmidt you should check out Parks & Rec! They're both so funny and definitely a couple of my favorite shows on Netflix! Lots of great suggestions here! I would add Full House and now the revival Netflix series Fuller House (I would watch Full House first, though), The Office, Pretty Little Liars, Glee, Downton Abbey, Sherlock, Life Unexpected, Mad Men, The Mindy Project, Call the Midwife, Bewitched, That 70's Show, White Collar, and The Fresh Prince of Bel Air. That's just off the top of my head. Yikes! That makes it look like all I do is watch Netflix haha, I promise I don't, this if over many years! Also, I'm in Canada, so the Netflix offerings might be different, but generally the United States has better offerings anyway - hopefully they're all available to you! Based off of the other comments above, I have to agree that Parenthood, The Office, Pretty Little Liars, and Parks and Rec are all must-sees, but I definitely have to add One Tree Hill to the very top of the list! Friday Nights is the BEST show ever! Another suggestion is private practice, it's SOO good, I don't watch greys but it's a smaller version of it. Also I might start watching Heart of Dixie, what is it about? Thanks! Great suggestions! Friday Night Lights is on my list to watch this summer too! One suggestion if you finish this list, One Tree Hill! One of my favorite series! A must watch! Although still early but this one site that has been serving the information gratitude . Gilmore Girls is my absolute favorite! I have an Unbreakable Kimmy Schmidt obsession! You will LOVE Friday Night Lights! I like your choice of TV shows I am gonna watch all these shows on my spectrum tv silver or spectrum standard internet services online, thanks for the review dear Dorothy.